Webb has an emotional element to his paintings which gives them an atmosphere and mood subtly expressed through colour. 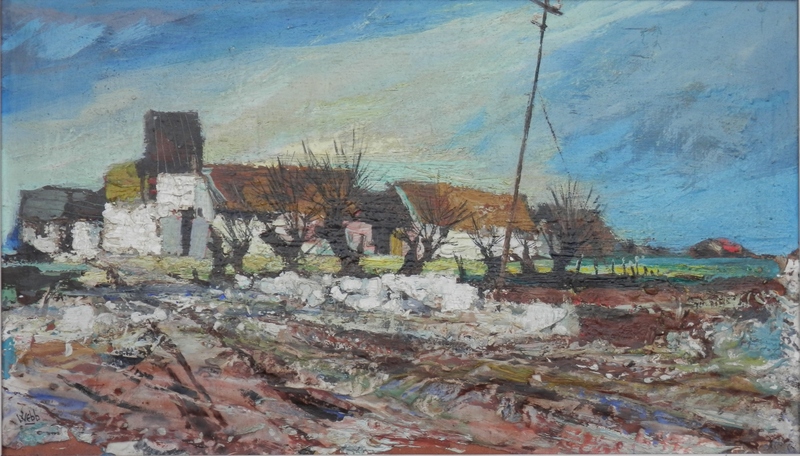 Although flat, Webb has built up the paint in places on this canvas to 1/2 inch or more allowing light and shadow to play its part as one views this painting from different vantages and under differing light. Webb’s canvases are a balm to the eye and salve to the heart. If beauty is in the eyes of the beholder, then Kenneth Webb is a graced and gracious beholder. And I am one who is thankful for his beholding. Colour, light and shadow bring life to any painting or piece of art. This harbour scene by an unknown artist exudes a restfulness. One can smell the sea, the fish, the seaweed. Do you hear the water as it plays with the sand. Sun setting – light reflected by the rippling water. Muted colours expressing a stillness, a waiting for life to begin, for time to restart. Life expressed in colour and colour an expression of life. 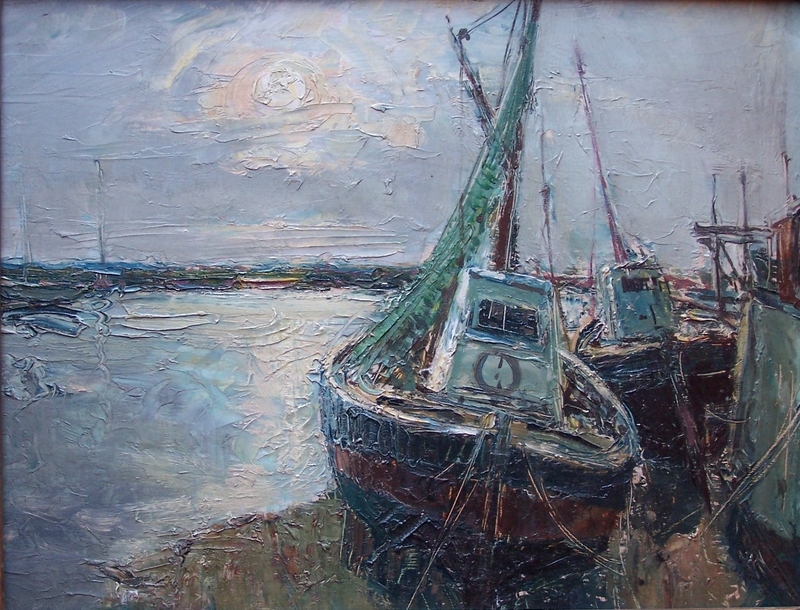 This entry was posted in Oil Paintings and tagged farm buildings, fishing boats, harbour, Ireland, low tide, rigging, road, sunset, telephone pole, trees, Ulster. Bookmark the permalink.